Even though all employees should be entitled to a safe working environment, the sad reality is that every year thousands of people are injured as a result of an accident at work through the fault of their employer. This makes it essential for companies to ensure they are providing good quality, compliant PPE and have an effective management solution in place, to ensure its distributed correctly to employees, in a timely fashion. It can be a challenge to monitor, track and manage the distribution of essential kit, so we have created a unique online ordering portal, called Optimise. With Optimise our clients can access a wide suite of reports, even down to individual wearers and what they have spent/purchased over specific time periods. This is useful for large companies with many employees combating insurance claims. Recently, an engineer who worked for one of our clients got out of his van to service an alarm, he slipped on some ice and broke his foot. A very unfortunate and painful accident for the employee, who at the time was not wearing the correct footwear, having opted to use his own. Using the Optimise portal, our client was very quickly able to identify when the engineer was last issued with footwear, along with specific information detailing which style it was. Whilst the company have acted to support the employee after his accident, they were able to prove that he was not wearing company issued footwear at the time of the accident. 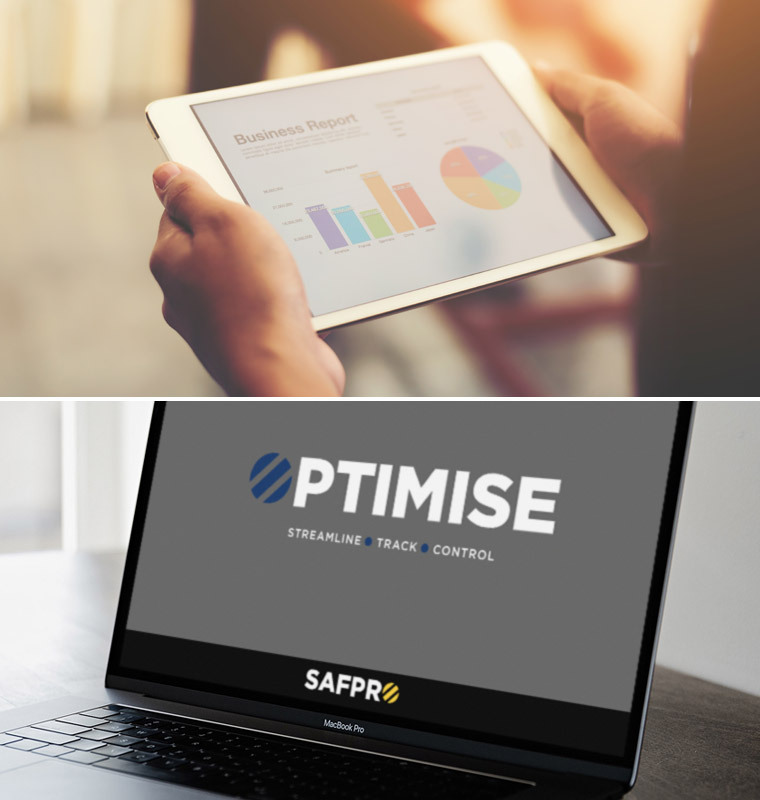 At Safpro, our energies are focused strongly on what we term as the Support Services Sector, this being: mobile based and remote based, operatives, technicians, support staff, construction type workers. Our solutions are tailored around these people and enable us to assist our clients in ensuring compliance regarding safe working, brand promotion, and work effectiveness. To learn more about Optimise or to request a demo, follow the link below!